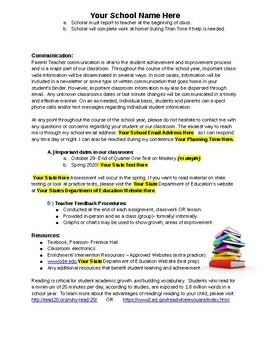 Having trouble creating a syllabus? 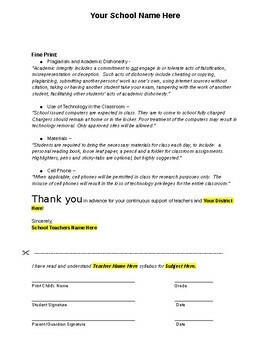 Save time and energy by using this family-friendly syllabus starter to help create your own, personalized, classroom syllabus. 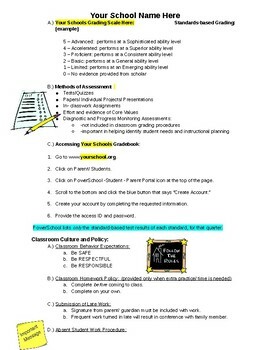 Formatted to fit your school district's and classrooms specific needs. Add information or adjust information to your liking. Colorful and easy to read! Word doc. allows you edit and insert your city, your school districts and your state's department of education information. Family and student section included at the bottom for important signatures! 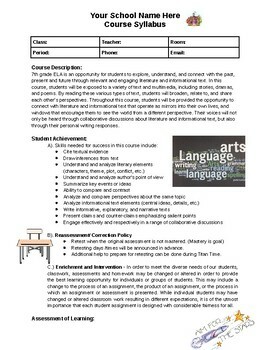 7th Grade Language Arts Syllabus sample included.